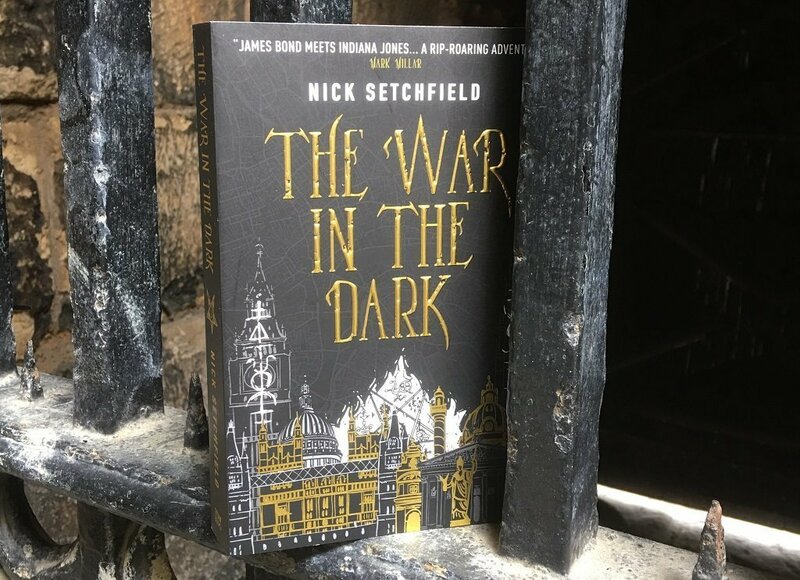 A My Chronicle Book Box review: The War in the Dark by Nick Setchfield. This is the debut novel of Nick Setchfield and is an addictive, spy thriller full of fast, paced adventure and dark magic! This book was included in our August 2018 Sci-fi & Fantasy book box. I confess I was first drawn to this book by the cover! The silver and gold embossed on the black cover is stunning, I'm sure you will agree, and the book within fulfilled my expectations. This is a great adventure which races across 1960's Europe in a wild ride and I just could not put the book down. Nick blends espionage and the occult and the cold war setting adds a real edge of tension and paranoia. Our protagonist, Christopher Winter, is a former assassin for the British Intelligence Services and witnesses something that leads him to discover a world of magic he never knew existed and finds there is more behind the cold war than he could ever have imagined. I knew this book was perfect for our book boxes because it is so well written and will appeal to many different people whether spy thriller or fantasy fans or not! When the assassination of a traitor trading with the enemy goes terribly wrong, British Intelligence agent Christopher Winter must flee London. In a tense alliance with a lethal, mysterious woman named Karina Lazarova, he s caught in a quest for hidden knowledge from centuries before, an occult secret written in a language of fire. A secret that will give supremacy to the nation that possesses it.